The Defence Area (Number 14) at Cuckmere Haven is still a fascinating place to explore; even 76 years after construction almost all the defences still exist and the landscape is relatively unchanged. 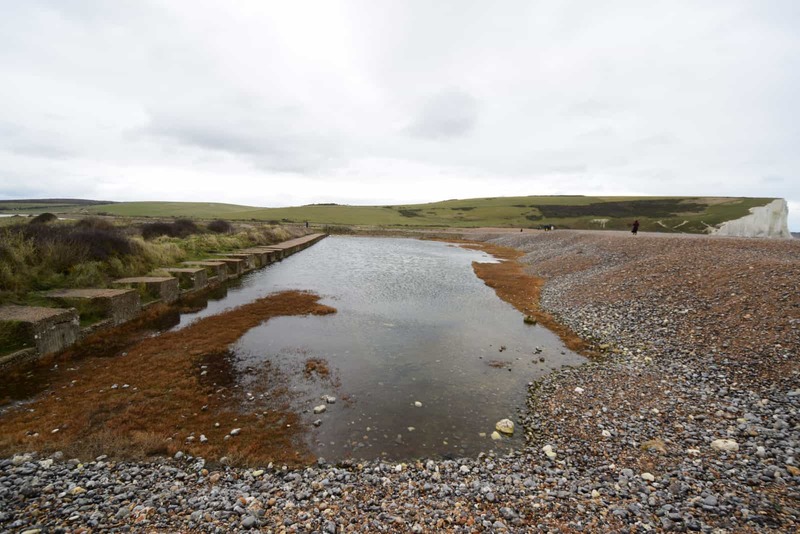 Identified in the German plans for Operation Sea Lion, the flood basin running inland from Cuckmere Haven would have been an ideal opportunistic marine landing site, bounded on both sides by the high cliffs and farmland. 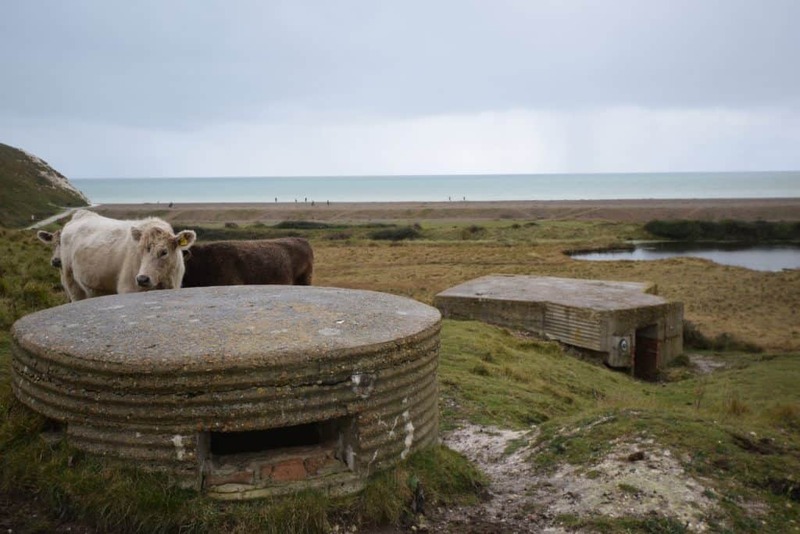 The range of defences in existence today include anti-tank ditches, earthworks, walls and blocks, as well as a range of pillbox designs. Below are the results of my survey (19 November 2016). 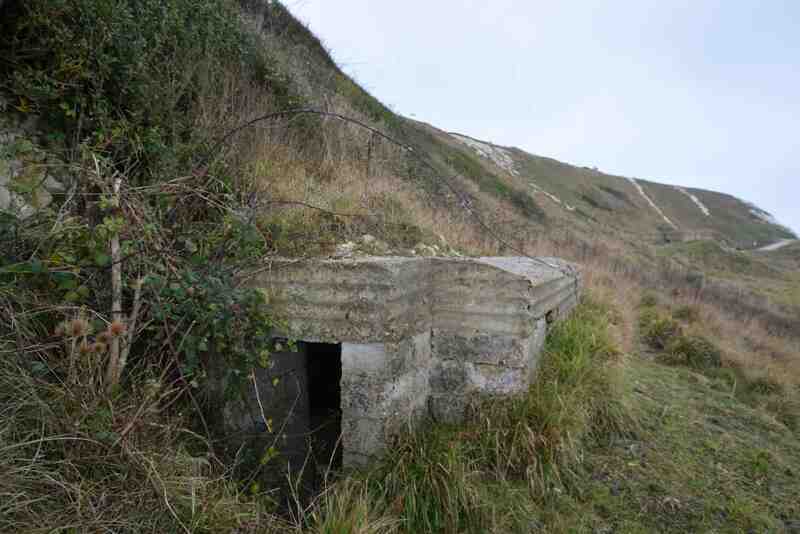 Pillbox Type FW3/25 at the entrance to the valley, on the east side of the river. 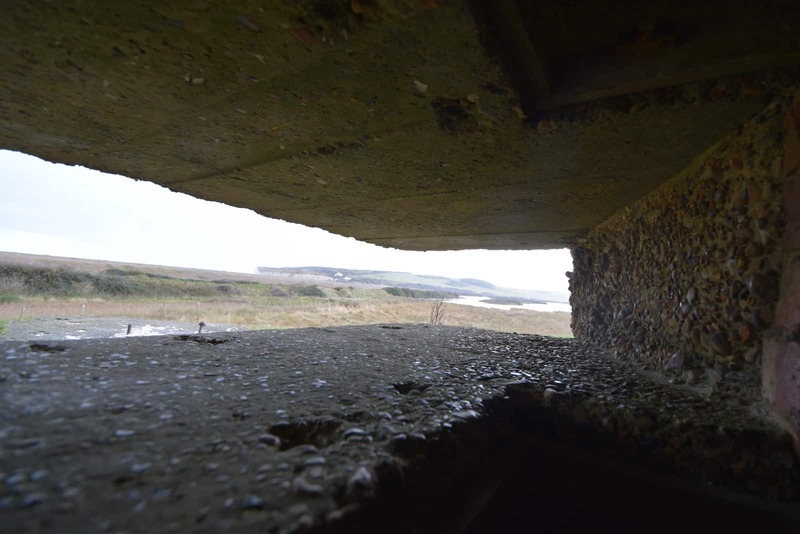 The view from the type FW3/25 pillbox looking south down the valley. 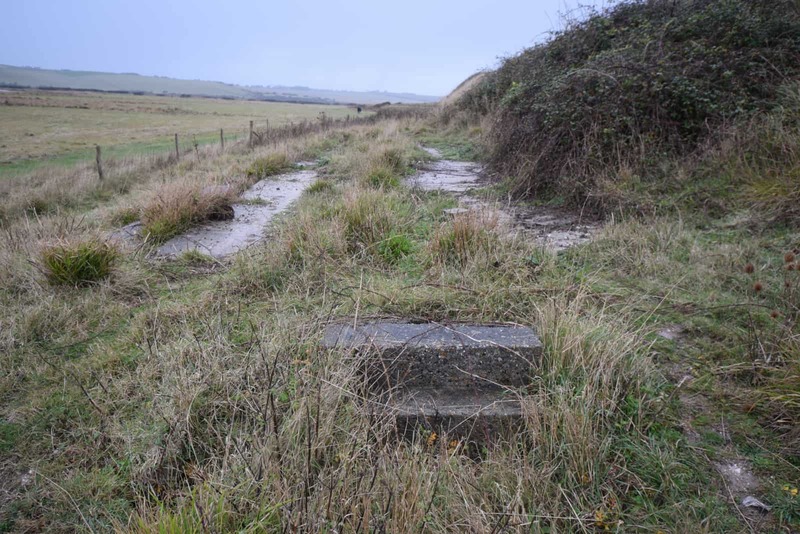 A row of anti-tank blocks on the east side of the river. 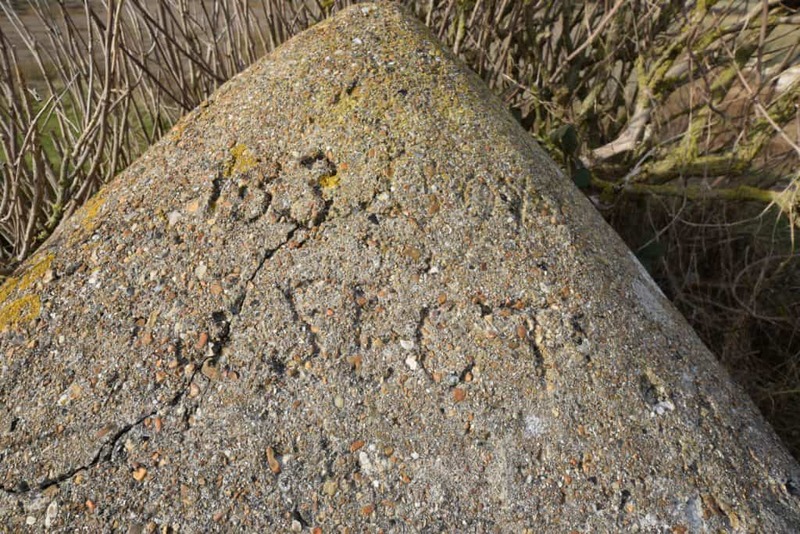 Identifying graffiti on the top of an anti-tank block. 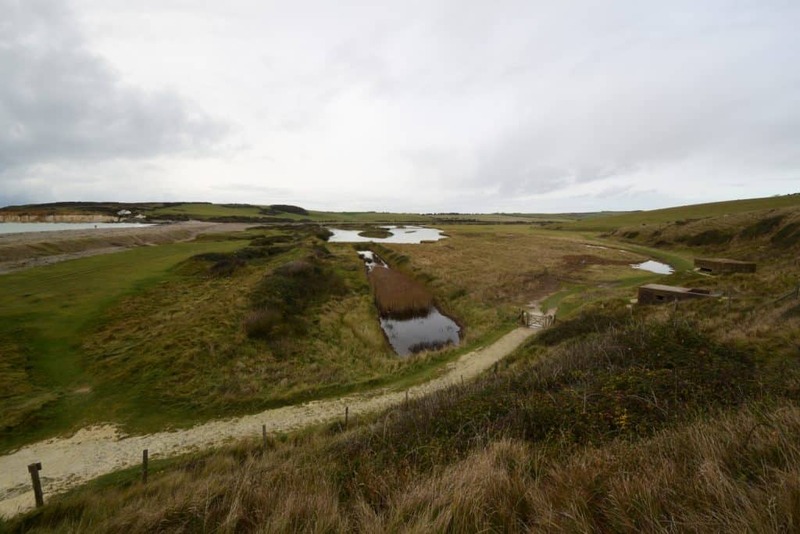 The block was constructed by 133 Company., 3 Section. 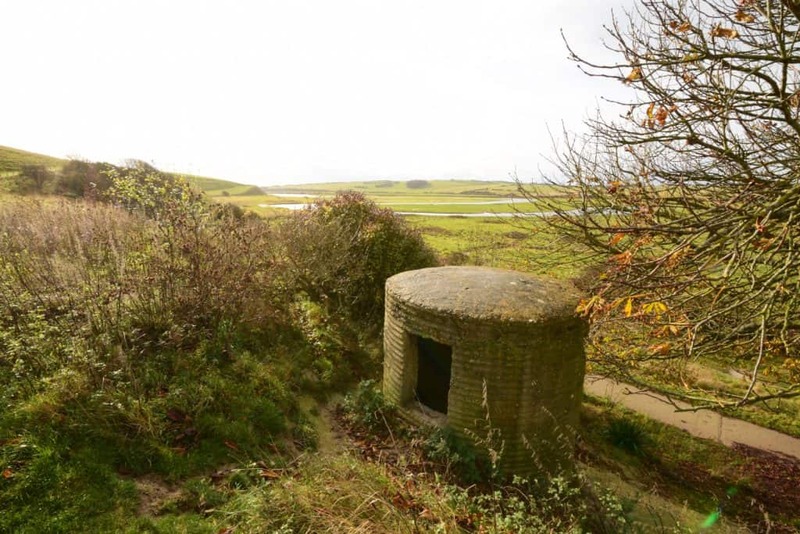 This unit is also identified in the single man MG pillbox on the east of the river. A well defined anti-tank ditch and earthen bank defensive works with a Type FW3/23 pillbox keeping watch. 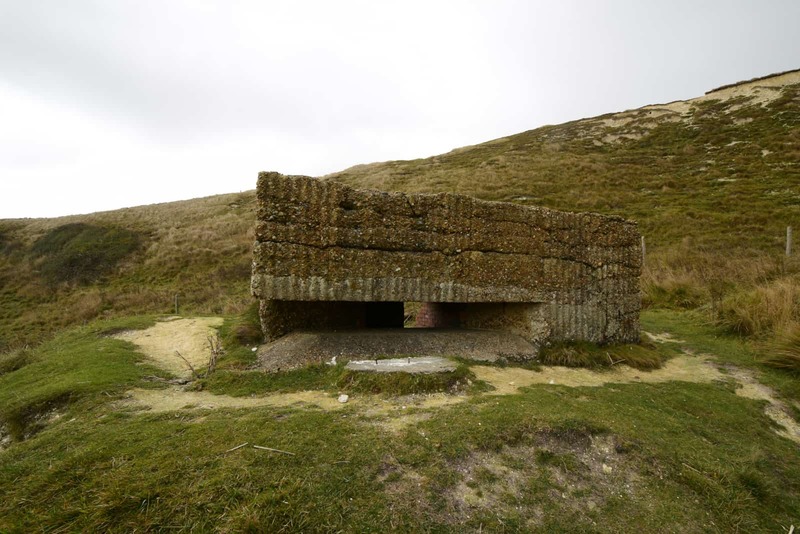 Pillbox Type FW3/23 overlooking the anti-tank obstacles. 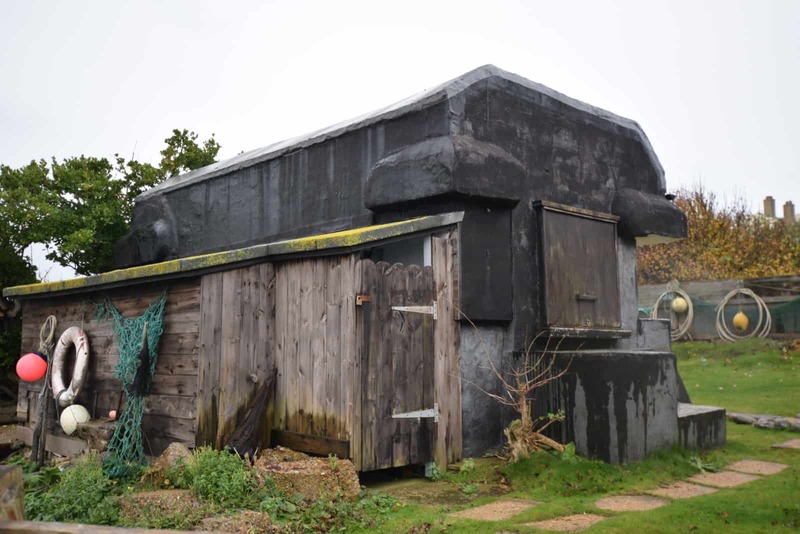 Non standard pillbox co-located with the Type 25. This pillbox was a Machine Gun position, with a large arc of sweeping fire facilitated by the wide slit. 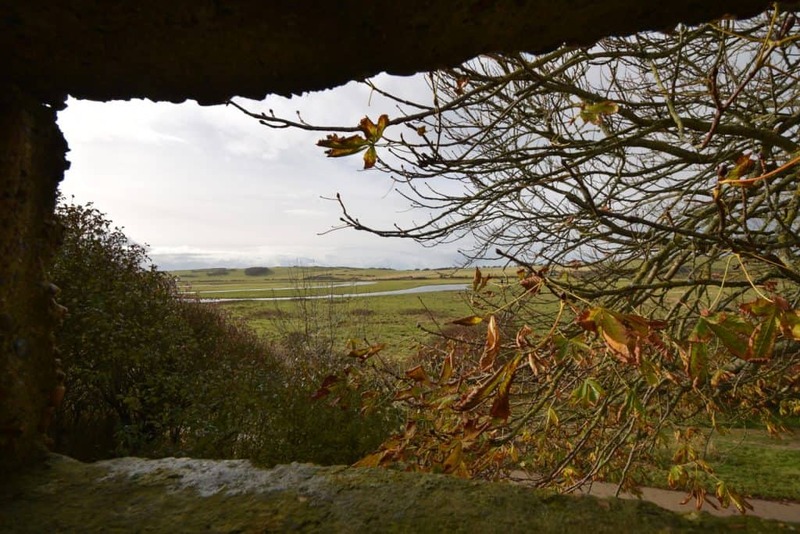 The view from the MG pillbox overlooking Cuckmere Haven. 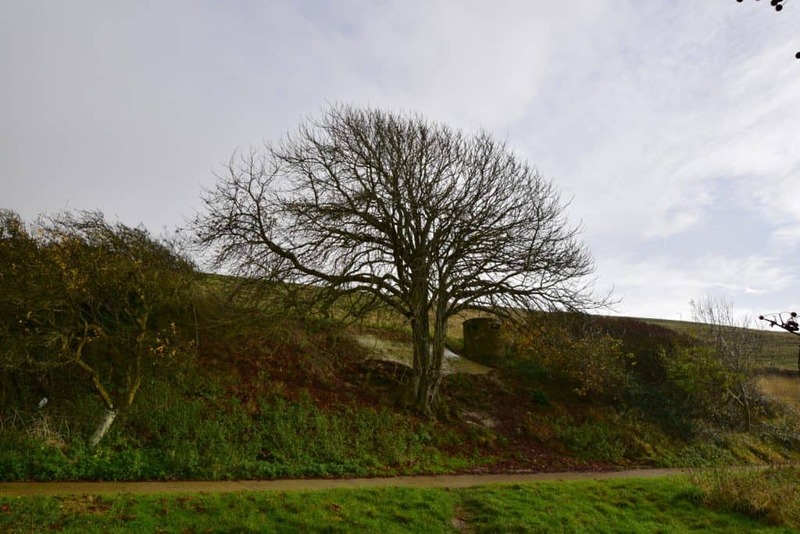 A solitary non-standard pillbox set low into the chalk hillside. This variant is a single man Machine Gun position. 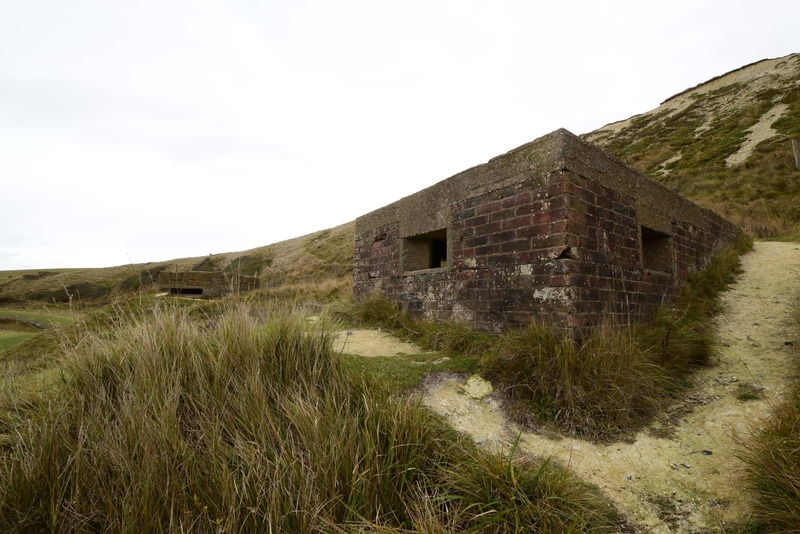 The second cluster of pillboxes, this non-standard type is situated with the Type 25 for mutual protection. 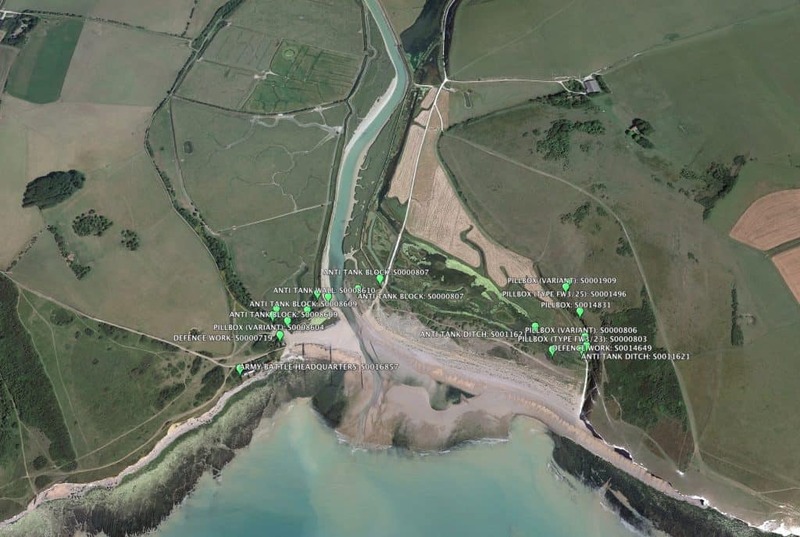 The view over Cuckmere Haven showing the dominant position of the defences. 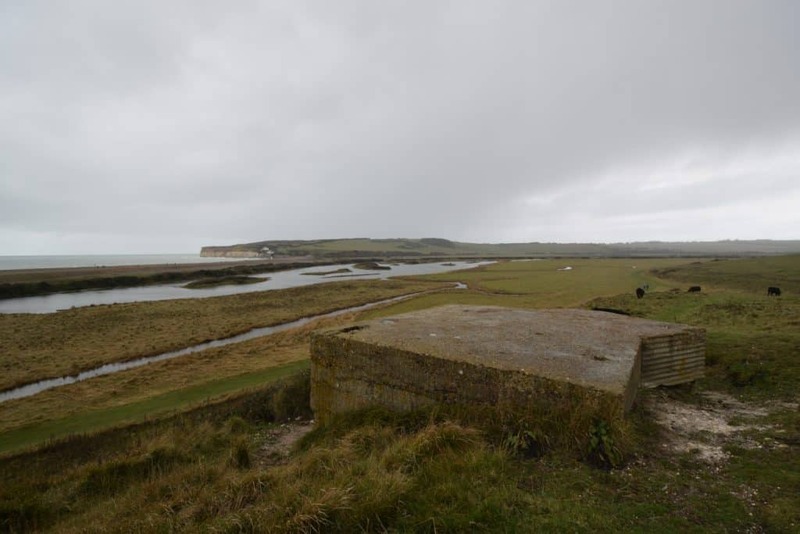 A second Type FW3/25 pillbox looking inland and protecting the rear flank of the beach defences. What remains of an accommodation hut. 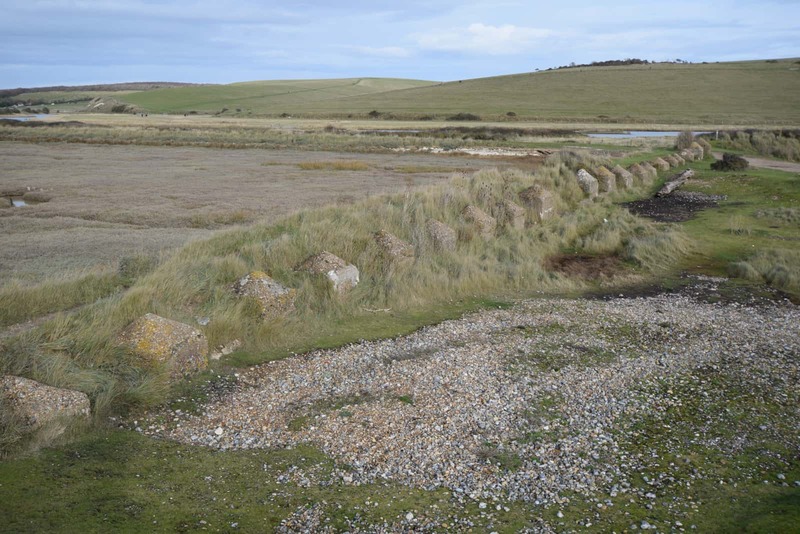 A great anti-tank wall and blocks on the west side of the river. 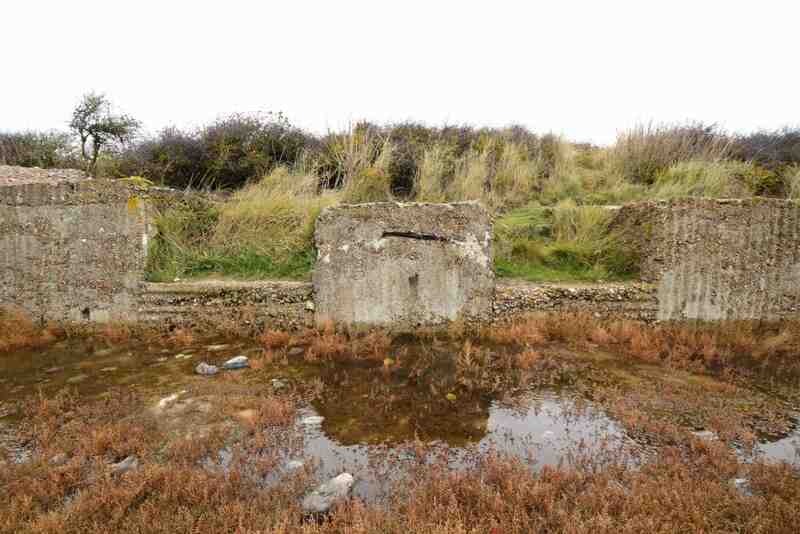 Anti-tank blocks attached to the anti-tank wall. 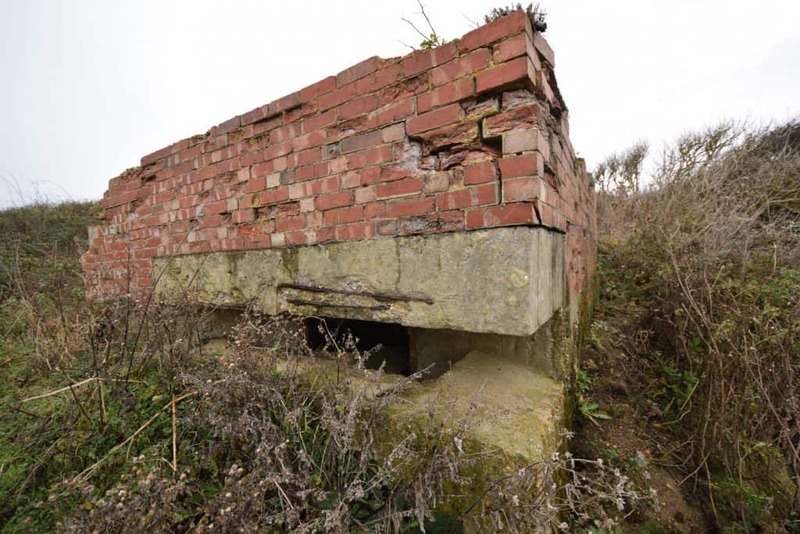 This non-standard pillbox was used as a MG post. 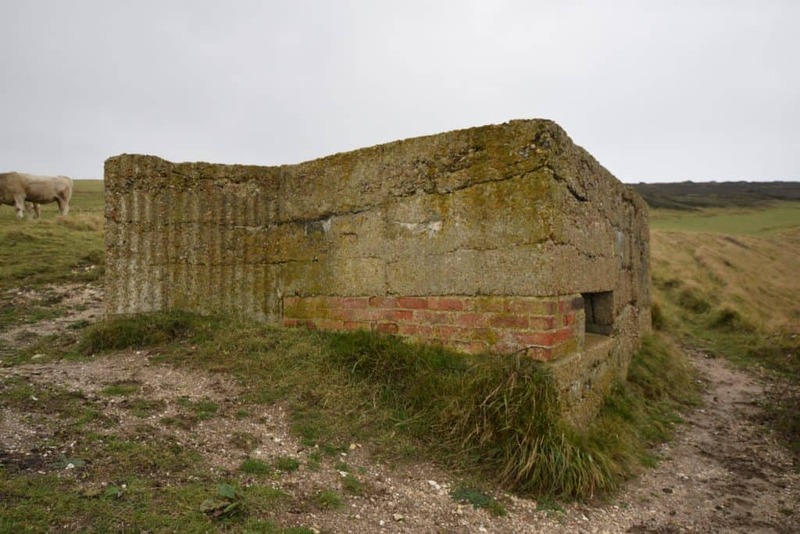 Almost identical to the post constructed on the east of the river, this pillbox on the high ground to the west has a concrete core and has been finished with a facade of red brick. 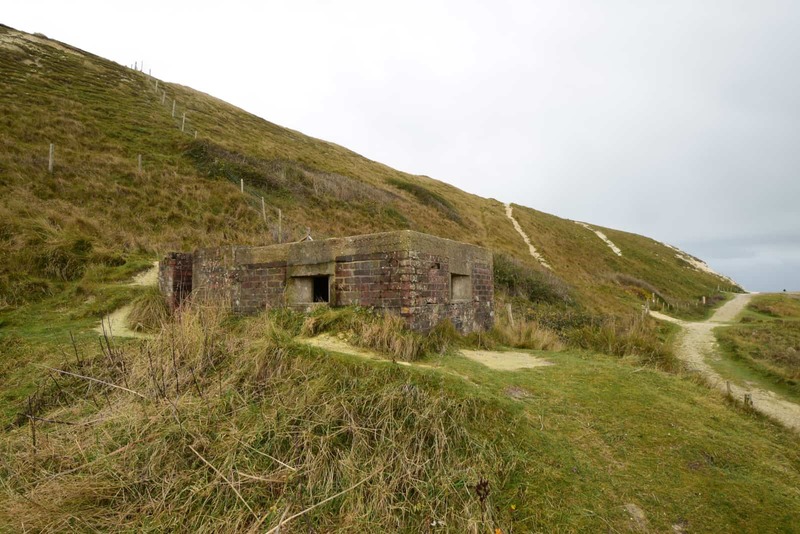 A coastal cable station with a long and fascinating history, reinforced in 1940 and subsequently destroyed post-war, only to be rebuilt again to the pre-war standard. 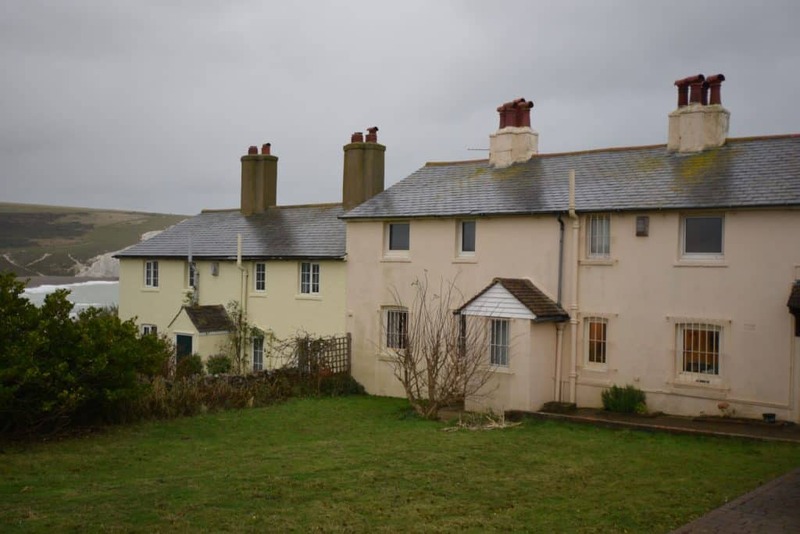 Cuckmere coastguard cottages, believed to have contained the Battle HQ for the Cuckmere Haven defences.